Ernie the EEO Nerd: LaPoint v. Family Orthodontics: When is it lawful to rescind a job offer after learning the offeree is pregnant and will need leave? LaPoint v. Family Orthodontics: When is it lawful to rescind a job offer after learning the offeree is pregnant and will need leave? The case of LaPoint v. Family Orthodontics, A15-0396 (Minn. Apr. 5, 2017), illustrates the thin line between what's prohibited and what's not when it comes to the protection of pregnant workers. In this case, the Supreme Court of Minnesota looked at whether the defendant violated the Minnesota Human Rights Act by rescinding a job offer to Nicole LaPoint after finding out that she was pregnant and would be wanting 12 weeks of maternity leave when she gave birth. Frankly, two things really kept me from sleeping well. One of them is why you didn't tell me on Friday that you were pregnant, I'm just I just can't figure that piece out ․ And the other thing is that I have to make sure that after training you for six months, that you going on leave for three months is not going to disrupt the practice. Under the MHRA, an employer is not permitted to ask an applicant about maternity needs, so there did not appear to be any dispute that if the job offer was rescinded because LaPoint failed to reveal information at the interview that the employer was not entitled to have, then the defendant violated the MHRA. By contrast, there also did not appear to be any dispute that the defendant was entitled to withdraw the offer if it did so because LaPoint needed more leave than it could provide. The defendant did not have an affirmative obligation to provide a certain amount of leave, so it was merely required to treat LaPoint the same way it would treat someone who was not pregnant. In contrast, the Supreme Court of Minnesota concluded that, while the owner's statement provided evidence that LaPoint's failure to disclose her pregnancy during the job interview "actually motivated" the decision to rescind the job offer, there was "reasonable evidence" to support the district court's finding that the length of the leave requested was the sole reason for rescinding the job offer. Nonetheless, the Minnesota Supreme Court concluded that it was unclear whether the trial court had erroneously required that LaPoint establish that the defendant was motivated by animus, which is not needed to show that pregnancy "actually motivated" the challenged action. Therefore, it was necessary to send the case back to the district court to ensure that it did not rule for the defendant by mistakenly requiring the plaintiff to show animus. Interestingly, although it would have been unlawful for the defendant to have asked LaPoint during her job interview whether she would be needing maternity leave, it was apparently not unlawful for the defendant to have rescinded the job offer after it learned that she wanted more maternity leave than it could provide. You might wonder, then, if an employer can consider maternity leave requirements after making a job offer, then why can't it ask about them before making the job offer and therefore save itself the trouble of having to rescind the offer? The answer to this is provided in the dissent by Justice Margaret Chutich. She explains that the purpose of prohibiting the disclosure of pregnancy information during an interview is to guard against the "well-documented phenomenon of unconscious bias against pregnant women and mothers in employment," which may lead to their being perceived as less competent than women without children and less competent than men (with or without children). A similar rationale lies behind the prohibition against pre-offer disability-related inquires under the Americans with Disabilities Act and the ban-the-box movement to prohibit pre-offer inquiries about criminal records. Unlike the MHRA, Title VII of the Civil Rights Act does not explicitly prohibit employers from asking questions about pregnancy during a job interview. In its guidance on pregnancy discrimination, the EEOC recommends, as a best practice, that an employer "not ask questions about the applicant's or employee's pregnancy status, children, plans to start a family, or other related issues during interviews or performance reviews." Although such questions are not themselves unlawful under Title VII, the EEOC further notes that it "will generally regard such an inquiry as evidence of pregnancy discrimination where the employer subsequently makes an unfavorable job decision affecting a pregnant worker." 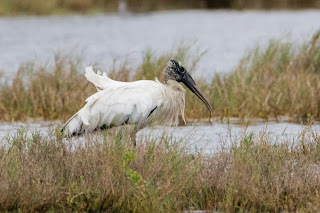 About the photo: This is a wood stork at the Merritt Island National Wildlife Refuge. 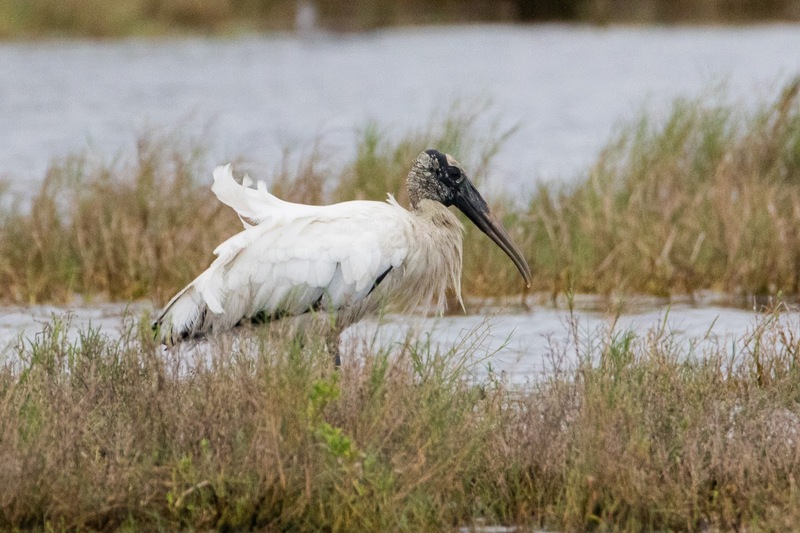 According to the Florida Fish and Wildlife Conservation Commission website, "[t]here is no evidence that wood storks deliver babies."